I’m knitting at The Wool and Tart today. 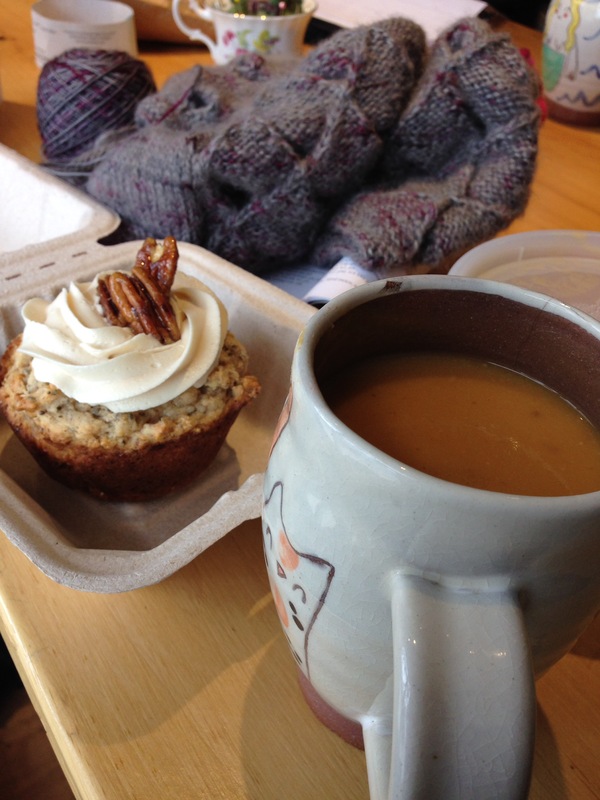 The Rolled Oat created a sweet muffin for me and some sweet potato soup. I’m still working away at the Deliniate tunic. Too many distractions lately to make a lot of progress.